Ever wondered what it would be like to actually go down the Drag Strip in a real race car? Well now you can with the Quarter Mile Drag Racing Experience! Your experience will start with meeting the race crew, a free photo and a walk of the track, preparing you with all the knowledge for a ride of a lifetime. 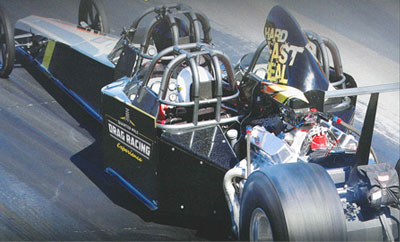 Suited up in Drag Racing attire and strapped into a 3-seater Dragster by a professional crew. Then, hang on!!! It’s a loud, long, smoke producing, full throttle burnout. Reverse back, a final visor check, and you’re ready to go! Now brace yourself because you are going to experience g-force beyond your imagination as we launch into a pass hitting 100km/h in just 2 seconds! The Drag Racing Experience starts in September and you can book today be emailing ride@dragraceexperience.com.au or call 0422 982 482. Look out for competitions at Drag Racing events during the 2018/19 Season for your chance to win a ride of lifetime in one of these powerful Dragsters!